Looking for website design tips to improve SEO? Search engine optimisation or SEO should be an integral part of planning the design and development of your website – not an afterthought once your site is live. Ensuring that SEO is built in to the design of your website will mean that your website performs well in the search engines. This will help your site climb up the Google rankings from day one. Search engine optimisation has come a long way in the last few years. We are still seeing big developments in the SEO world with Google’s algorithm updates. We expect that we will continue to see it evolve in the future too. Keeping up to date with the latest best practices with SEO will help to ensure that your website is optimised. This will help you to avoid Google penalties. One of the main factors that affects SEO is content. This is why it so important to make sure that your website is designed with the ability to regularly post engaging content. It is vital that you implement a content marketing strategy from the start. 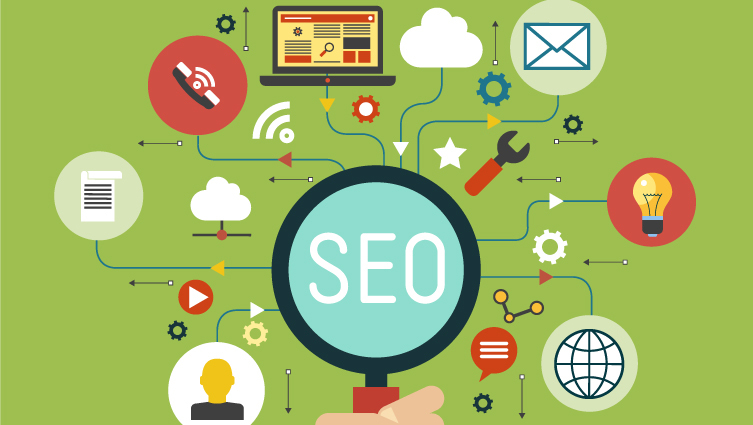 Want to ensure your website is as SEO friendly as possible? You can follow these website design tips to improve search engine optimisation. Using keywords to optimise your website has come a long from the days of stuffing keywords into the pages of your website with no real context. Google gives priority to websites that contain relevant keywords that are included in the body of your copy and in context. It is important to identify your keywords at the very beginning of the web design process. This will help you to determine the sites page structure and the content needed for your website. Use Google AdWords free Keyword Planner tool to search for relevant keywords that are being searched for in your industry or niche. It will also tell you the commercial competition for each word. Identifying a list of keywords will help you to create SEO optimised content for your website. It will help you to devise your content marketing strategy. Content is key to search engine optimisation. It is important that the content on your site is informative, engaging, well written and search engine friendly. Hiring a copywriter that is experienced in writing for digital channels and understands your keyword targets will help boost your sites SEO. While it is important to optimise your content and write content that Google will love, don’t lose sight of your audience – make sure your content is of interest to them too. Ensure you use a web designer that is up to date with the current SEO best practices. When it comes to coding you need to ensure that your site is optimised from the very first line of code. Optimising description and keyword meta tags is still an important practice. It helps Google index your website and return it in the search results when a relevant search has been performed. Meta tags summarise what your website is about. They can help users determine whether or not to click on your site. Use alt tags for images to boost SEO. By adding a short descriptive alt tag you can add relevant text to your source code. This in turn will help search engines to index your site.